As of 1st July 2015, FELs OF EUROPE have a new management. The term of the first Chair of the collaboration, Josef Feldhaus from DESY in Hamburg, Germany, ended after three years. Rafael Abela, project leader photonics and research of the SwissFEL project at PSI, Switzerland, was elected new Chair. He is being assisted by two vice chairs, Britta Redlich from the FELIX Laboratory at Radboud University Nijmegen, The Netherlands, and Sverker Werin, from the MAX IV Laboratory at Lund University, Sweden. Together they form the new Management Board (MB) and take care of the daily business and the overall coordination of the FELs OF EUROPE activities. The MB members are elected for a period of two years. In order to avoid changing the complete MB after two years and to ensure continuity, it was decided that Michele Svandrlik, the project director of the FERMI facility at Elettra, Trieste, Italy, will replace Sverker Werin after one year. 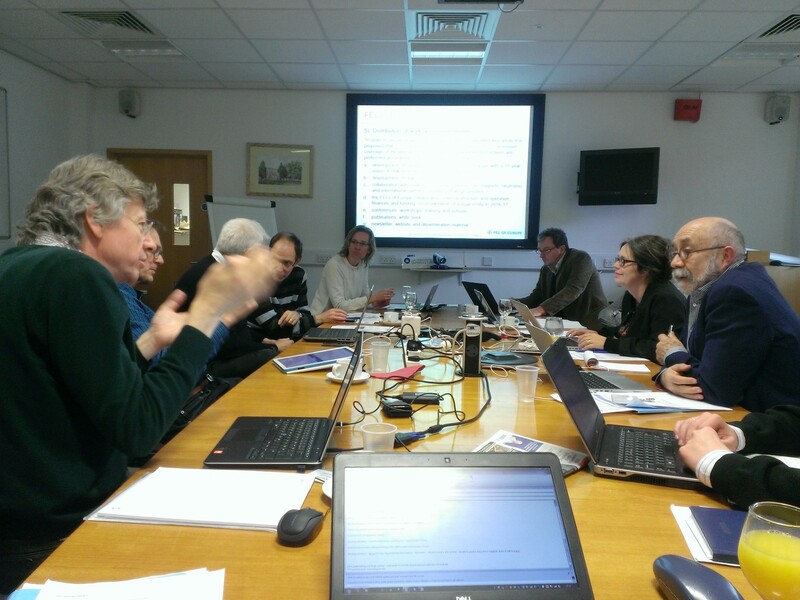 These decisions were taken unanimously on the last Steering Committee (SC) meeting on 26-27 March at Daresbury Laboratory. Before, the SC discussed and agreed on a strategy paper that had been worked out in the months before. The strategy paper starts out from the mission and main areas of activity agreed in the Memorandum of Understanding of May 2012, it reviews the current situation, draws up the main challenges of the coming years and proposes a number of actions. The most important changes include the implementation of a Management Board instead of a single Chair, the distribution of responsibilities for key action areas among SC members, and the introduction of a small annual fee to maintain key activities such as newsletter, website, conferences etc. 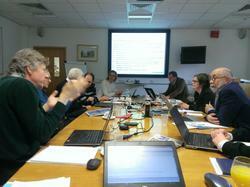 The strategy will be regularly revisited to adjust to new developments, e.g. after the European XFEL and SwissFEL have started user operation in 2017.